Easily attaches to backpack, car keys or dog leash. Offers enhanced control of up to two different garage door openers. Works with over 90% of all garage door openers. Small, two-button universal remote is the perfect option for runners, cyclists or anyone who wants quick access on the go. 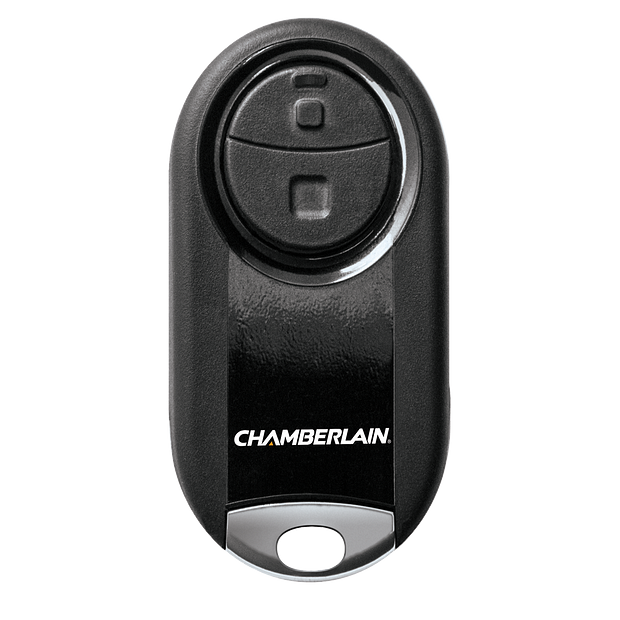 Extreme 800-ft. range allows you to operate a garage door opener, gate operator, myQ® Light Accessory or commercial door operator for immediate access on arrival. Universal wireless programming means no cutting into garage wiring or installation of an unsightly receiver. Rigorous quality testing ensures lasting performance. Scratch-resistant outer shell makes it highly durable. Highly compatible: Works with over 90% of all garage door openers installed in North America, including all major brands such as Chamberlain®, LiftMaster®, Craftsman®, Genie® and many more. This makes it easy to replace, update or consolidate up to two existing remotes. 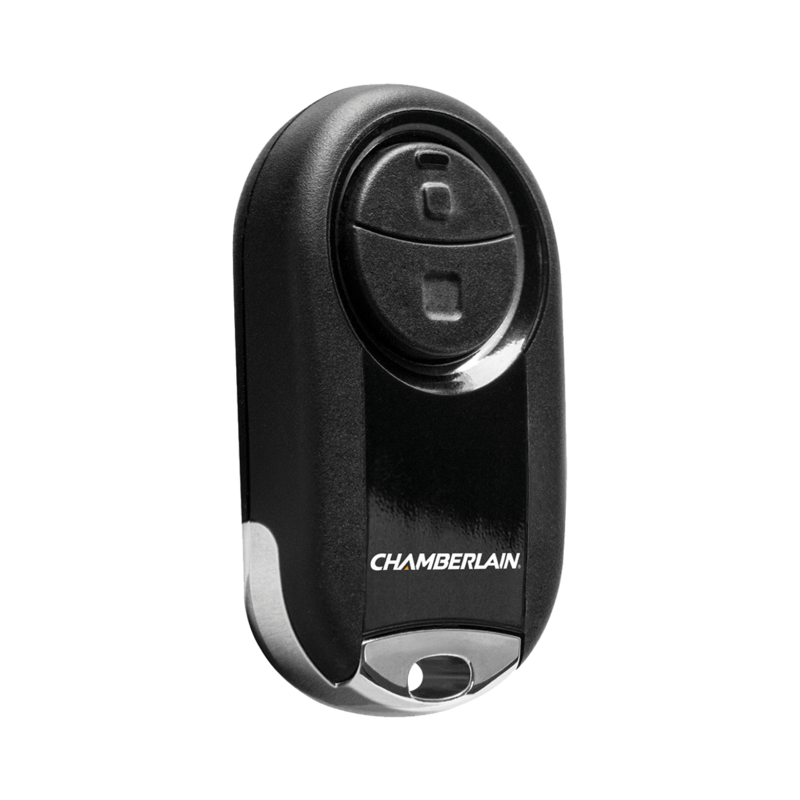 WARNING: The Universal Mini Garage Door Remote by Chamberlain is intended for use with residential door openers manufactured after 1993 that use photoelectric sensors. 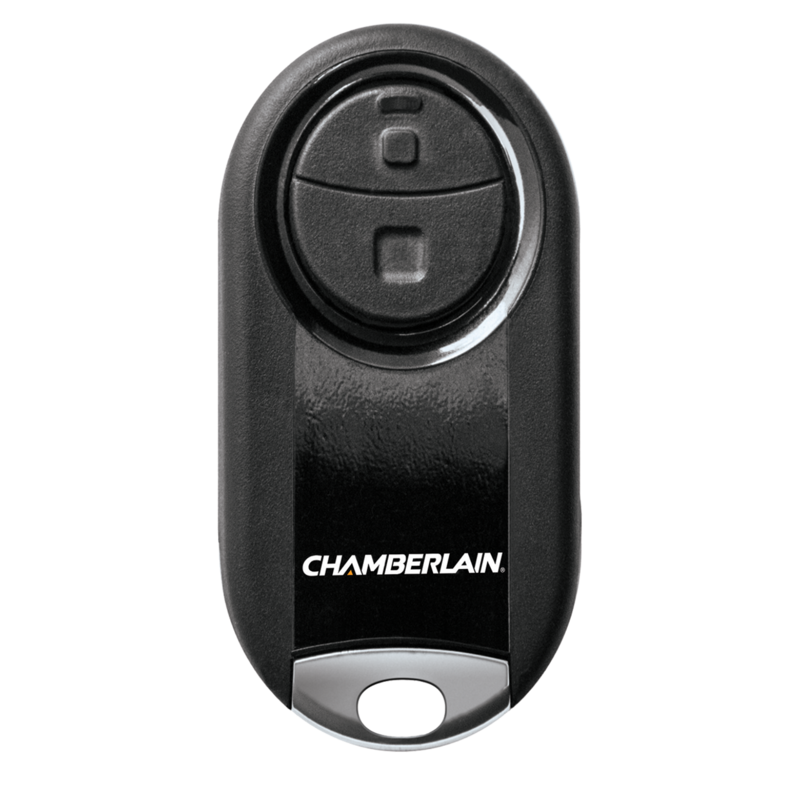 Any garage door opener that does not have these sensors installed and working is not compliant with current federal safety regulations and should be replaced.